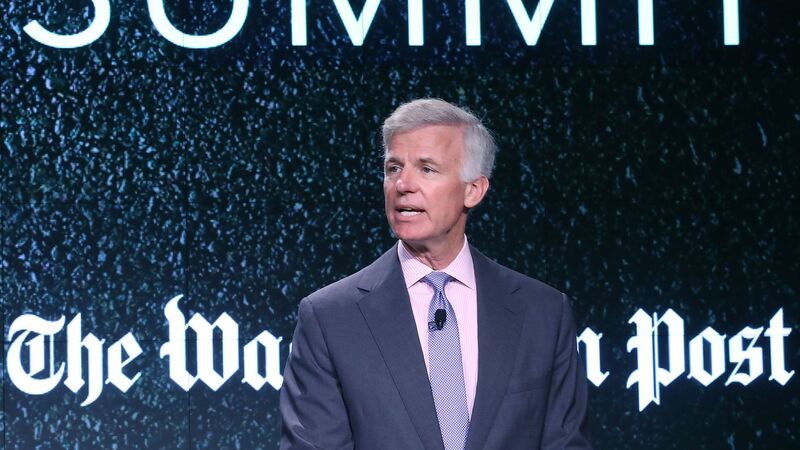 The Washington Post will celebrate its second consecutive year as a profitable company by adding to its business and technology teams in 2018, according to a memo to staff from Post Publisher Fred Ryan obtained by Axios. The team of nearly 800 journalists will be acquiring additional space in its headquarters building in downtown Washington in 2018. "This expansion will meet our needs in the coming year and accommodate anticipated growth in the future," Ryan says. The news comes as The New York Times is downsizing at its Manhattan HQ (which is much larger than the Post's HQ.) Executives announced last year that it would be moving out of "at least eight floors" to cut costs. Ryan says the company hit record subscription numbers, with digital subscriptions "more than doubling since January "and "more than tripling since last year." He also notes that digital advertising contributed a far greater share of overall revenue than ever, a feat given the bleak digital advertising climate many other newsrooms are facing in competing against tech giants for eyeballs. He notes that the Post's engineering team that powers website technologies, called "Arc" now provides technology for more than 50 other websites. Full memo from Publisher Fred Ryan to staff below. As we prepare to enjoy time with our families and friends over the holidays, I’d like to thank everyone on The Washington Post team for your contributions to what has been a truly exceptional year. In my view, Washington Post journalism has never been better. Our investigative, national security and political teams have broken many of this year’s top stories, with revelations about Alabama Senate candidate Roy Moore, key disclosures in the Russia investigation, and an examination of regulatory changes that exacerbated America’s opioid crisis. With thorough and meticulously sourced reporting, our politics team has consistently given readers an inside look at policy clashes and personality conflicts at the White House and in other corridors of power. In-depth, elegantly written narrative projects have come from every corner of the newsroom even as our journalists have responded with impressive speed to breaking stories in today’s non-stop news environment. The Washington Post newsroom has been a laboratory for innovation, capitalizing on the latest advances in storytelling tools. It also has launched an array of new products, ranging from the Today’s WorldView newsletter aimed at an international audience to additional “202” newsletters that are building on the highly successful Daily 202 franchise. Broadening the reach of Washington Post reporting, our journalists have appeared frequently on many broadcast and cable news programs, with an average of more than 800 appearances each month. Washington Post LIVE is convening newsmakers and thought leaders for conversations on critical issues of the day. Our Editorial and Opinions team has expanded the number and range of voices, adding thoughtful perspective and unique context on issues at the heart of today’s especially vibrant public conversation. Your exceptional work has been recognized with the highest awards in journalism, advertising and technology -- from Polk awards to a Pulitzer and WAN-IFRA prizes to the National Press Foundation’s “Feddies.” But, more importantly, news consumers have demonstrated their appreciation evidenced by rapid growth in page views, video starts and other important metrics of reader engagement. This progress is encouraging as we continue to pursue our goal of serving more readers across the country and around the world. In 2017, readers responded to superb Washington Post journalism by subscribing in record numbers, with digital subscriptions more than doubling since January and more than tripling since last year. Our advertising team has exceeded its targets and all previous records. Digital advertising contributed a far greater share of overall revenue than ever. These gains, coupled with a surge in subscription revenue, position us for continued profitability and increased investment. The exceptional team that prepares, produces and delivers our print product continues to innovate and develop additional revenue streams. We now print nearly every major publication in the Washington region. Through Apple News, Snapchat and other new initiatives, Washington Post journalism is reaching more people, across many more devices and platforms, than ever before. Whether we are telling stories with text, video, audio, graphics, or the latest immersive technologies, we are committed to providing a superior Washington Post experience on all platforms and devices in use today and those yet to be invented. The partnership between news and technology is powering our growth and, through Arc, our engineers are now delivering technology solutions to a growing list of leading national and international publications. In addition toWashingtonPost.com, Arc now provides technology for more than 50 other websites. Our technology team continues to push the boundaries of engineering, pioneering in areas like artificial intelligence and serverless computing. As the newsroom grows to more than 800 journalists, and as we add to our technology and business teams, we will be acquiring additional space in our headquarters building in 2018. This expansion will meet our needs in the coming year and accommodate anticipated growth in the future. Despite the many accomplishments of 2017, we must remain mindful that the modern media world changes rapidly and poses constant challenges. We cannot rest on this year’s success, but instead must build on it by relentlessly innovating, experimenting and disrupting even our own practices. With continued hard work and our naturally scrappy spirit, we can feel confident about moving forward in our aspiration of serving a broader national and global audience.